Mastering pan and blur photo technique on the streets of India. 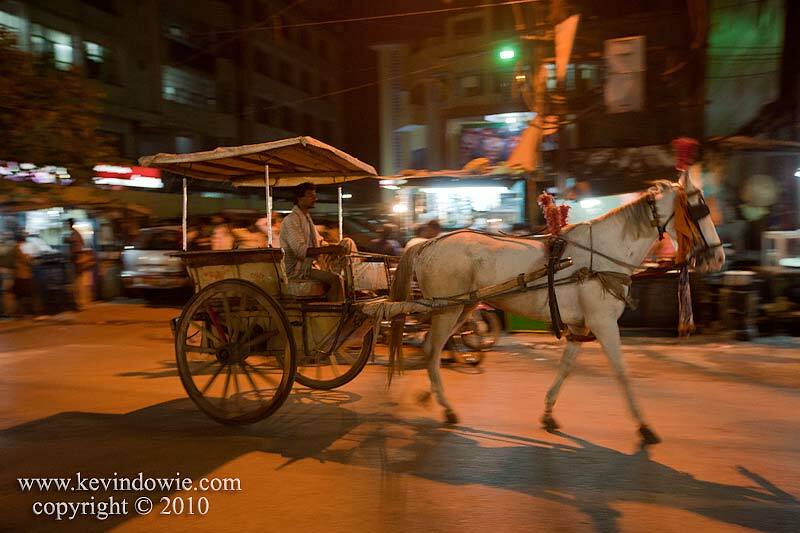 Whilst, in India earlier this year, the bulk of my photographs may have been quite conventional in their technique, fast moving rickshaws in the low light of evening provided the perfect opportunity to experiment with some pan and blur techniques. During the evening we had been at the water’s edge of the River Ganges at Varanasi observing, (and photographing) the activities there, including the Hindu rituals which mark the end of the day. Walking back through the township towards our lodgings, I stopped for a period at the side of one of the busy streets and observed the passing traffic, motorized, pedal powered, horse drawn and pedestrian. The pan and blur technique calls for relatively slow shutter speeds and a panning of the camera with the moving subject. Done right the effect is that the moving subject is rendered acceptably sharp, whilst the background is blurred due to the camera movement. The results can be unpredictable and the only way to ensure some worthwhile images is to experiment and take a lot of shots, accepting that a good many will be processed by the simplest of means…the delete button! There are so many issues involved. Isolating a single element in the frame whilst there are numerous people and vehicles moving through your field of view. Achieving focus by anticipating the likely position of a passing subject as it approaches and pre-focusing on a given point with a relatively narrow aperture to get generous depth of field. Selecting the appropriate focal length for the anticipated subject. Trying to set up in a location that offers the prospect of a reasonable background. In the following shots I used the Canon 5D Mark 2 with a 16-35mm zoom lens at focal lengths varying between 22 mm and 35 mm, apertures around f4.5 to f5.6, shutter speeds were between 1/13 and 1/25 second and ISO was set at 1600. In the course of these experiments I used settings outside of those parameters as well. I don’t recall now just how many shots I took to get those displayed here, but my feeling is that, if you take 100 shots and end up with 1 that you’re pleased with, you should accept that 1 shot and be thankful for it. So, to the images and which one works the best? Always subjective, but personally, I think the first image is perhaps technically the best, the background blur is pronounced and I like the position of the rickshaw in the frame. However the second image, whilst it may be a bit tightly framed, I think says more. There is a contrast between the two men with the thin, presumably poor, man working hard on the pedals to transport the solidly built (overweight?) affluent passenger in his neat shirt with his nonchalant posture and chatting on a mobile phone. There are the fortuitous clothing colours also. The yellow shirt of the passenger matches the yellow scarf of the driver which in turn contrasts with the blue of his shirt and trousers. Contrast and juxtapositions aplenty! Does the image say something about class structures and social status? Servitude and inequity? Note: For further discussion about pan and blur techniques, check out my previous article from back in 2008, “When Wildebeest Run” As the title suggests, it is about pan and blur as it applies to wildlife, however the principles discussed are valid here as well. KD.